for 'God is One' you need to know. God is All we need! God is All! God will not grant strength to you. no boat or streams are of any help. Stop trying to know it all, my friend. - English Translation and Lyrics originally in Punjabi | English in bracket is approximate literal translation. A more poetic rendering in bold by Naomi. 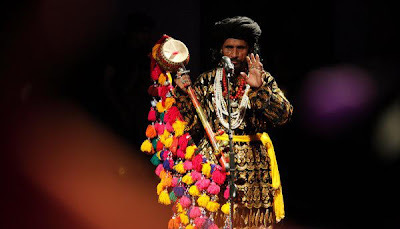 Performaned @ Coke Studio | Internationally celebrated Pakistani folk musician Sain Zahoor performs this sufi kalam (verse) in Coke Studio with Noori and other musicians. > Download the audio as mp3. | Video as Quicktime video. In Arabic numerology or Abjad, the Alif represents the number one and belongs to the element of fire, therefore illumination. It symbolizes the selfness of God as well as His unity. The Arabic letter Alif is equivalent to the letter 'A' in the English alphabet or Alpha in Latin. 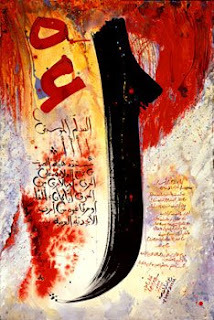 It is the first letter in the Arabic character set. The letter also takes on the archetypal value of the whole alphabet, which it begins and is thus also identified with Adam, the archetypal man or father of humankind. Alif is the first letter in the Name ALLAH. If we take away the first letter which is Alif we arrive at: Lillah. If we now take away the first letter Laam from Lillah we arrive at: Lahu. If we now take away the next Laam from Lahu we arrive at: Hu - the Divine Pronoun, pointing to the Real Being - the Real Alone.